Tim Dreby is a psychotherapist and award-winning author who yearns to change the way the clinics and the public greet experiences associated with “psychosis.” Tim’s first publication received five-star reviews from authorities such as Readers Views, Readers Favorite, Midwest Book Reviews, and Book Viral Spotlight. It ranked 8 out of over a thousand in the 2015 Book Viral Contest. In 2016 it received an Honorable Mention Award in Reader’s Favorite Annual Contest. It received four awards in 2016 Human Relations Indie Award, including Directors Choice for Outstanding Human Relations Life Adjustment Indie Book. In 2018 it was a Finalist in the Top Shelf Indie Book Award. Raised as a faculty rat in a Quaker school, Tim moved to the inner-city to attend a commuter college and to hide a history of male anorexia. Still healing from his experience in the state hospital nineteen years ago, he works on an urban back ward in Oakland California and writes to help revolutionize the way psychosis is treated. 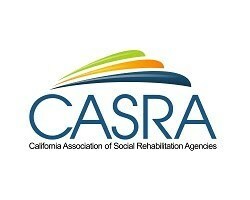 I will be presenting a workshop at the annual California Association of Social Rehabilitation Agencies. This will be the first part of my six hour training that can be downloaded here: Training Powerpoint. CASRA is an important local resource that has supported me over the years.